Soviet archaeological research in southern Turkmenistan revealed a series of small Late Neolithic and Aeneolithic villages strung along the streams that emerge from the Kopet Dag and water the narrow foothill zone separating the mountains from the Kara Kum desert. A commonly accepted premise of their work was that these communities garnered their technological knowledge if not their populations from regions to the south and west in present-day Iran. Since 2010 we have reinvestigated one of these sites, the small Late Neolithic (ca. 6200-5600 BCE) and early Aeneolithic (ca. 4800-4350 BCE) village of Monjukli Depe. Our research examines microhistories of cultural techniques as a source of insights into long-term and spatially extensive change as well as internal variations and similarities in material practices. This volume presents results of this work. A Bayesian modeling of 14C dates demonstrates a long hiatus between the Neolithic and Aeneolithic strata of the site as well as a hitherto unattested very early Aeneolithic phase ("Meana Horizon"). A sequence of densely built, well preserved Aeneolithic houses exhibits marked similarities to earlier Neolithic architecture in the region. Despite overall standardized plans, the houses reveal significant variations in internal features and practices. Similar flexibility within a set of common dispositions is evident in burial practices. Very limited quantities of pottery offer a stark contrast to the frequent occurrence of spindle whorls, indicating a substantial production of thread, and to a large and varied assemblage of clay tokens. A wide variety of fire installations attests to routinized handling of fire, which did not prevent at least one building from succumbing to a conflagration. Animal herding was heavily based on sheep and goats, while cattle figured prominently in feasts. 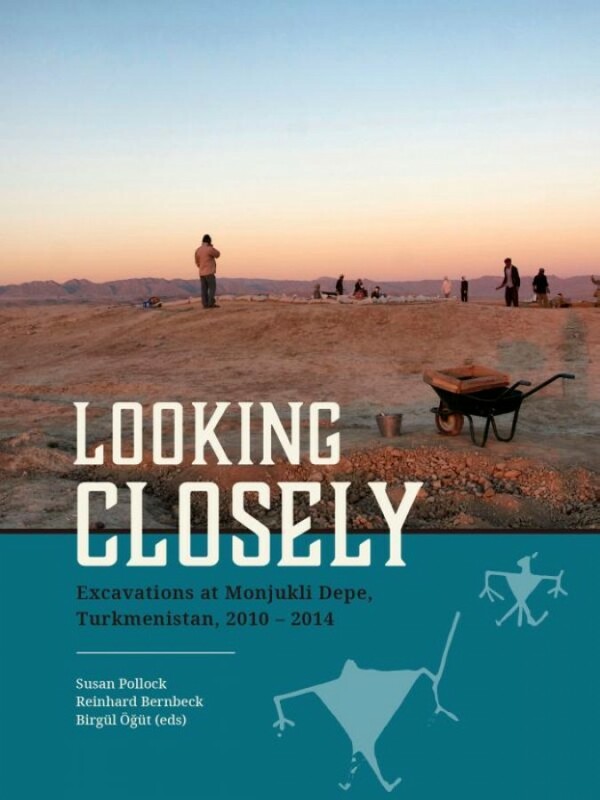 The Meana tradition at Monjukli Depe exhibits significant structural similarities to other early village societies in Western Asia and will make this volume of interest to scholars working on similar times and contexts.